Accepted Insurance Plans: Out of network. I am working on getting paneled with multiple insurance companies, but as of right now I am out of network and private pay only. However, I can provide you with a superbill (an insurance-specific receipt) at the end of every month. Some insurance companies will partially reimburse you for the session fee you pay to me. Every insurance company has a different process, so it’s important to check with your provider to see what this process looks like. Are you finding it hard to deal with life and your thoughts and emotions? Do you find yourself coping with life in ways that make things worse instead of better, or maybe you feel you can’t cope at all? I specialize in helping people identify tools to not only cope better but to live a life that makes them feel proud, happy and fulfilled, and I do this by looking at thoughts, feelings and behaviors. Many people feel like they’re drowning in the deep end of the ocean because of their depression, anxiety, and painful life situations. I’m passionate about walking alongside people and helping them to go from feeling like they’re drowning to finding their place on land again, and eventually, putting down deep, solid roots. I have extensive experience practicing Dialectical Behavior Therapy, and I also incorporate Cognitive Behavioral Therapy and mindfulness into my practice. 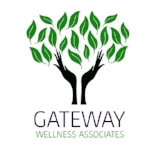 I use an integrative approach and design the therapy based on your needs. I specialize in utilizing these modalities to work with individuals struggling with emotion dysregulation, Borderline Personality Disorder, binge eating/compulsive overeating, and stuck thoughts/emotions. When you share, I will not merely listen and nod my head. I will partner with you to face your pain head on and to learn a new way to deal with the hard things in life. Relationship is at the core of good therapy, and that is why I would love to see if we are a good fit! Feel free to give me a call for a free 15 minute consultation. 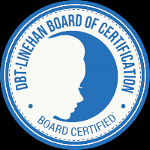 Certifications and Training: Nationally Certified Counselor; Training in Dialectical Behavioral Therapy; Training in Acceptance and Commitment Therapy; Training in ASIST and crisis intervention.